Because your carpeting and rugs are one of your home’s best assets, quality care is so important. 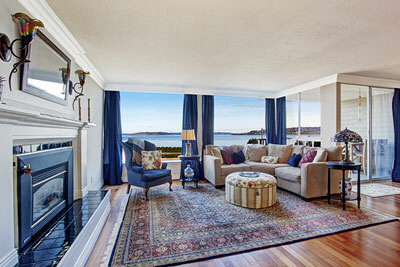 For the best area rug cleaning, choose an experienced, professional company to do the job well. With years of experience, Palm Beach Oriental Rug Cleaning Pros are Jupiter, FL’s choice for area rug cleaning. Trust our expertise and knowledge for your family’s rugs and flooring. 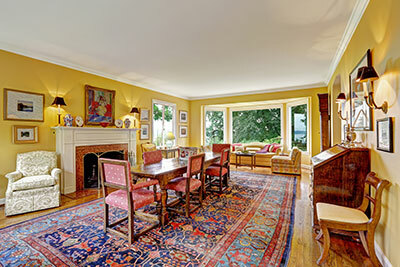 Our team provides area rug care that is both professional and affordable. Our skilled experts are ready with the most effective tools and equipment to provide top-of-the-line area rug cleaning. If you are concerned about the condition of your home’s fine area rugs, you are not alone. You may be aware that these rugs are made of highly delicate fibers, and the dyes used to provide them with their rich, lustrous color may also be fragile. Many owners of area rugs regularly vacuum their rugs to remove larger pieces of debris from the surface of the rug. However, as your family, friends and pets travel across these rugs on a regular basis, dirt particles nestle down deep into the weave beyond where your vacuum can reach. This can cause your rug to look dingy, and ultimately damage your fine area rug. At Palm Beach Oriental Rug Cleaning Pros, we take cleaning your valuable area rugs seriously. The risks involved with cleaning area rugs are widespread and requires an educated firm to carry out this task. We are properly insured and bonded for this specific service, and take every precaution possible to care for your rug from pick up to delivery. Our area rug cleaning service is available to help you clean your rugs with care. We understand how delicate these fine rugs are, and our cleaning process is designed to safeguard these rugs while also giving you the results you want to see. Our process will gently, yet effectively remove the stains and odors from area rugs without damaging the fibers or causing the dyes to bleed together. Whether you have one area rug in your home, or several, it is understandable that you want to keep your rugs in great condition for years to come. It is not enough to simply clean the rugs. Instead, you will need to find a company that can safely and effectively provide you with deep cleaning results. We are the company to call for all of your area rug cleaning needs. Our rug cleaning process is like sending your rug to a spa! Whether we're cleaning a delicate, antique Oriental or a contemporary area rug, our exclusive process safely and gently revives the color, luster and beauty of your rug. What separates Palm Beach Oriental Rug Cleaning Pros from other rug cleaners is our specialized equipment that safely and gently flushes away the vast amounts of soil trapped deep in rugs without abrasive scrubbing, harsh chemicals or power spraying that can damage fine rugs permanently. We use a very thorough, yet gentle cleaning method to take care of your beautiful rugs. We will handle with care every type of rug weather hand knotted, hand tufted, or machine made.